The little known ways to read the latest financial news, effortlessly. Stock market investing is a dynamic activity. Here, the things change fast and that why you need to keep yourself updated with the latest financial news. There are hundreds of phenomenon happening daily in the stock market. 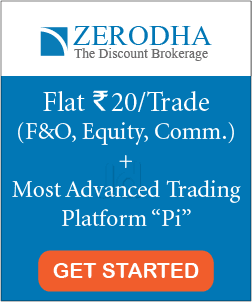 From the stock related news like corporate announcements, quarterly results, board meetings etc -to the big scale news like fluctuation in crude oil price, Indian currency rate, local and global economy etc -you need to remain informed with all of these. In this post, I’ll walk you through the best mediums to keep yourself updated with the latest financial news and happenings in India and the world. When a newbie enters the stock market, he/she will energetically subscribe to a popular financial newspaper and start reading it daily. However, this process will hardly continue for a week or two. After that, although the newspaper subscription will continue- but they will just pile up in the corner of a room. This happened to me too. At that time, I was in college and I subscribed to the Hindustan business newspaper. I thought that this will help me to remain updated with the latest financial news. Nevertheless, it turned out that I hardly read any newspaper in the morning as I’m not a morning person (usually I wake up after 9 AM). Further, after the classes, I just didn’t get any time to read the newspaper as I was much involved in extra-curricular activities (including sports). Many a time, I also tried to read the newspaper in the classroom.. and it didn’t end well. Overall, there was a huge pile of unread newspaper in my hostel room by the end of the sixth month. Later, I decided that I won’t waste any money on the newspapers again as I knew I wouldn’t be able to give enough time to sit on a couch and read that newspaper. Nevertheless, reading a newspaper is not the only option to remain updated with the latest financial news. I prefer reading stories/news on mobile apps and websites. They are cheap and easily fits into my schedule. I could read the news anytime (whenever I’m free or have some extra time). Further, apps are also a good source for instant alert/notification. Overall, reading news on mobile apps turned out to be my style. Anyways, which medium you choose to keep yourself updated with the latest financial news totally depends on your preference. For example, my father likes to read the newspaper daily in the morning. And if any day, the newspaper doesn’t come (because of whatsoever reason), he feels like his day is incomplete. I tried convincing my father to use financial apps to read the news by installing a few good mobile apps on his mobile. But at the end of the day, he prefers reading a hardcopy newspaper. And I totally understand it. In short, everyone makes their own choices. What matters more is that you remain updated with the latest news using whatever medium you prefer. Different mediums to read the latest financial news. Here, I’m going to suggest a few best newspaper, websites, apps and other mediums to keep yourself updated with the latest financial news. I’ve tried most of them and found useful. Besides, you do not need to try everything listed below. Just find out which one you prefer (or which suits your lifestyle) and stick to it. 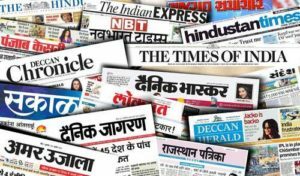 Here are some good newspapers that you can subscriber for reading daily financial, business and economy news. Quick Note: Although the hard copies of the below-mentioned newspapers are easily available everywhere, however, I’ve also included the links to the online ePaper for these news agencies. 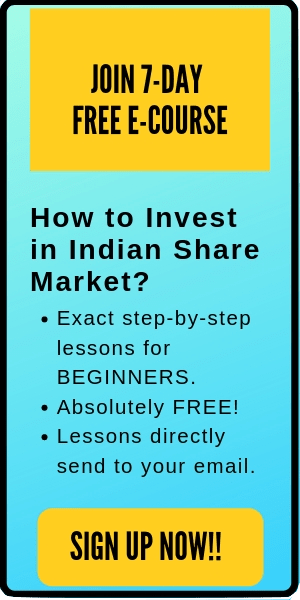 Some good apps that I’ll recommend you to download to receive the latest financial news related to business and stocks are Moneycontrol, Economic Times, Edelweiss and Equity Pandit. Also read 7 Best Stock Market Apps that Makes Stock Research 10x Easier. Google Alerts is a content change detection and notification service, offered by the search engine company Google. In simple words, if you set an alert for any company on google alerts, then Google will send you all the important news published on the web related to the company directly in your email. You can set google alerts for the different companies and industries to receive daily news regarding them. (Quick Tip: I use google alerts to get notifications for the stocks that are in my portfolio or the ones that I’m tracking). Read more here: How to Use Google Alerts to Monitor Your Portfolio? Keeping yourself updated with the latest happenings in the financial world is an essence to become a successful stock market investor. You might not be surprised to know that the biggest investor of all time, Warren Buffett, reads 4-5 newspaper daily in the morning. 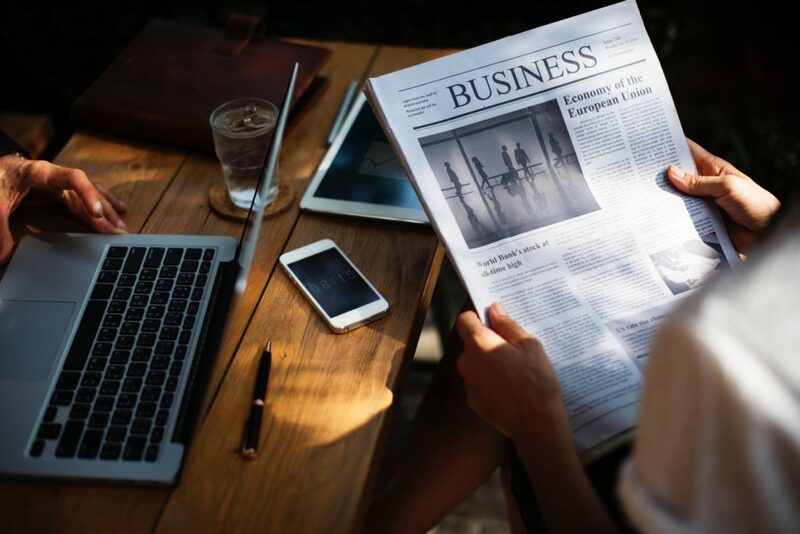 Nonetheless, with the advancement of the internet and technology, there are a number of mediums available today to keep yourself updated with the latest financial news. Choose a medium that suits you the best and stick to it. #HappyInvesting.